It’s proven time and again that powerful love brings change in the world. Once you act from a place of love, it benefits oneself and the world around. This power comes from one’s own conviction and conscience. This love shows up unafraid and its presence brings about good changes that last forever. Today, the world faces many challenges. Challenges that are grave. Challenges that we all must rise up to and overcome. Sheer insanity between human beings who just cannot seem to get along with each other. Think about this. What drives someone to destruct and destroy? What drives someone to hurt someone else? It’s their belief system. They are truly convinced about what they are doing is right. This acts as a force to do such wrong actions. There is only one way to counteract this destructive force. Rise up with the force of love. Know that love incarnates itself as a powerful force. Love has the ability to destroy the false for the truth to remain shining. Let’s see a practical example. Have you ever seen a Samurai? A samurai practices a martial art form that gives them the ability to direct their energy in a positive way. They know that in order to protect oneself, one must use their abilities in the right direction. They use their sword with full awareness. It looks like an attack but they are just negating the attack by defending. They do not fight or confront the other. They use their presence of mind and energy to cut through the negative. They let their love flow bravely. This is how love is in action. Love is not mushy and being all weak and dependent. Love is so powerful that it can in a moment destroy the negativity. Choose to question rather than accepting the false. Each one of us has the potential to be a powerful source of love only if we decide to be so. Take a moment and share your thoughts below. Tell us how do you see love? 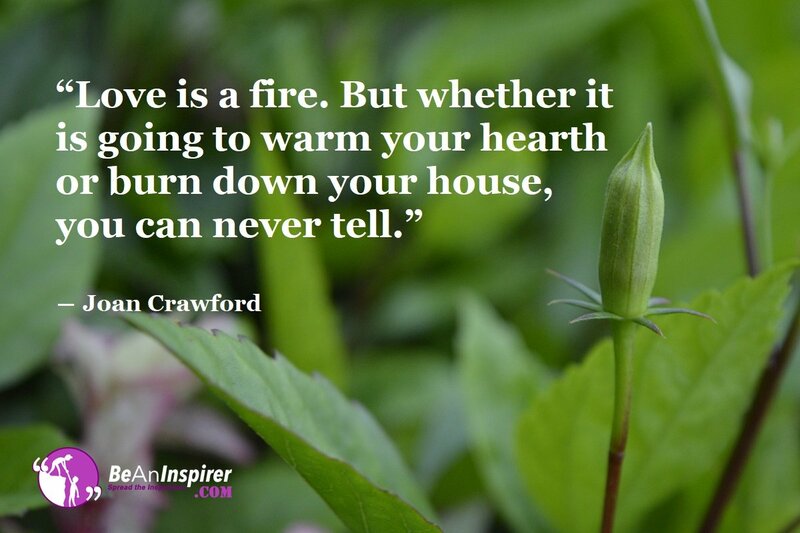 Do you believe that powerful love brings change?